The Brotherhood is made up of men who work to minister to church members, as well as people in the community, by performing handyman projects. Below is a picture of our trailer, which holds our supplies that allow us to perform these handyman ministries. This trailer will also be used in the event of a disaster. Several of our members are trained in disaster relief. 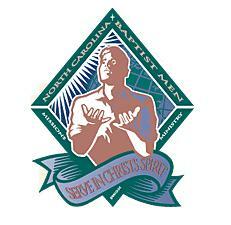 North Carolina Baptist Men Disaster Relief grew from a concept in 1979 to the first response in 1984. Since then, NCBM Disaster Relief volunteers have prepared over 3.5 million hot meals and removed debris or repaired over 16,000 homes. In addition, we have met the needs of thousands by providing temporary childcare, laundry services, hot showers and spiritual care. 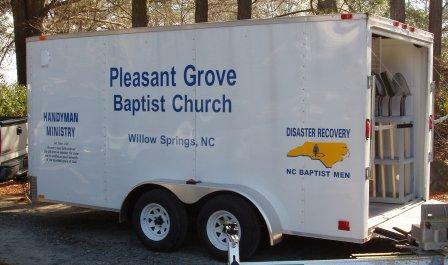 Men and women from all walks of NC Baptist life volunteer to offer help in times of need. We meet the 2nd Sunday of every month at 8:30 am for breakfast, fellowship, and devotion. We invite all men to come fellowship with us.